Want more from your WordPress site, with widgets, apps, customization and lightning fast speed? You're looking for WordPress web hosting, and we have all the information you need to choose the best WordPress hosts for your business or personal website. How do I know which is the best WordPress hosting? Research is the name of the game with WordPress hosting. Whether you’re looking for free WordPress hosting, cheap WordPress hosting, or even if you’re willing to dig a little deeper to find what you’re looking for, self hosted WordPress can be complicated. The first thing you need to know when looking for a WordPress host, is that not every web host can run WordPress. The current recommendation is that the WordPress host has PHP version 5.5 or greater and MySQL version 5.5 or greater. Luckily, these are pre-requisites for most great hosting options, WordPress or otherwise. At this point, you want to look into the finer details to see what else you would like from your WordPress hosts. The cheapest WordPress hosting options are generally shared WordPress hosting. Your website will be hosted on a server along with many others, and will share the storage, bandwidth and security with all of those other websites. This enables it to be very cheap, but can have an effect on reliability and speed. For the vast majority of websites this is a suitable choice. 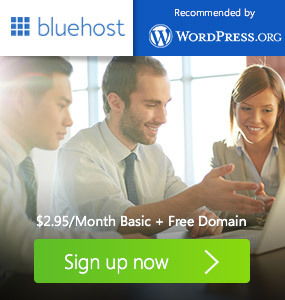 What if I want the best WordPress hosting 2015? Before you look into the more expensive options of a dedicated server or a VPN, for some people, a managed WordPress hosting option can be the right choice. While managed hosting used to mean simply experts who managed the technical and hardware operating systems of any website host, it has more recently become a way to describe application level managed hosts. Many great website hosts are specializing in managed WordPress hosting, which means that they make sure your website is running as well as possible, with in-depth knowledge of WordPress as their ammunition. They fine tune your hosting environment to optimize your page load times, your response times, and keep an eye out for anything malicious. They also make sure that the WordPress core files are up to date, and control regular backups and restore points to keep your data (and your customers) safe in case of any server issues. Some WordPress hosts will offer excellent extras such as staging areas for developers, and plugin support to automatically optimize your site and improve performance. Our reviews are a great place to start your research. We’ve outlined the top names in WordPress hosting both shared and managed, so that you can find the exact right choice for your business or personal needs, and get on with doing what you do best, creating content.